Panasonic today announced the latest version of its premium rugged handheld device with integrated angled barcode reader for mobile workers. 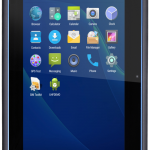 With improved rugged capabilities, a powerful performance boost, world-leading communication capabilities and improved 4.7-inch screen visibility, this second-generation Panasonic TOUGHBOOK FZ-N1 Android device could become the new market leader. 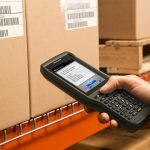 The latest Panasonic TOUGHBOOK FZ-N1 handheld builds on the success of the first-generation device launched in 2016, which has already become a firm favourite in the postal, logistics and food delivery markets across Europe. Additional markets include emergency services, utilities and the airline industry for scanning tickets and boarding passengers. With its integrated angled rear barcode reader to protect against repetitive strain and increase productivity, the device can be easily held and operated in one hand while seeing on the display what item has been scanned. The 2nd generation will be available in two models: a new WiFi only model for warehouse and location-based mobile workforces and a combined 4G + WiFi model for mobile workforces travelling from location to location. The slim (16.3mm) and lightweight (274g) device is easy to use for telephone calls and includes 3 mics with superior noise suppression technology and dual front speakers delivering in total up to 100 dBA for sound clarity in a noisy environment. 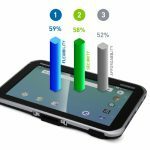 The 4.7” HD capacitive multi-touch daylight readable display is designed for use by workers in bright sunlight or in the rain and those wearing gloves. The device can also be used with an optional Active Pen, for more accurate signature recording and recognition capabilities. The latest generation device is more flexible, futureproofed and more powerful than ever. It runs the Android 8.1 Oreo operating system with upgrade path to Android 9.0 (Pie). It is equipped with the latest Qualcomm Octa Core processor with an increased 3GB of RAM memory and 32GB of Flash storage, double the size of the first generation. Battery life has been extended from 8 to 12 hours to cater for longer working shifts. The ability to warm swap batteries has been maintained to prevent work disruption during longer operation. 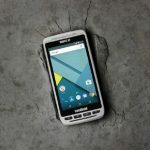 Its communication capabilities are unrivalled in the rugged handheld market being one of the first devices to offer Bluetooth 5.0 to deliver faster data exchange or communicate over longer distances. It also supports fast roaming WiFi standards to allow warehouse and office workers to move quickly from one area to another without losing connectivity. There is an 8MP rear and 5MP front camera for document capture and webcam use, as well as a micro USB port, micro SDXC card slot and dual nano SIM slots. 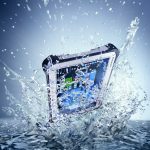 Jan Kaempfer, General Manager of Marketing for Panasonic Computer Product Solutions, said: “In just a short time the Panasonic TOUGHBOOK FZ-N1 has had an impact on the premium rugged handheld market. 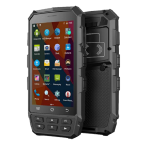 It’s ergonomic, yet rugged design, and wide-ranging functionality have made it a favourite of the outside mobile worker. 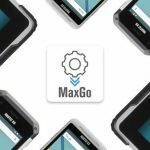 This latest upgrade has made that device tougher, more powerful and even more user-friendly in a future-proofed product that buyers can be confident will still be in use for many years to come. The Panasonic TOUGHBOOK FZ-N1 is available with a range of support accessories, including a hand strap, cradle, holster, extended battery and charging cradle stand. 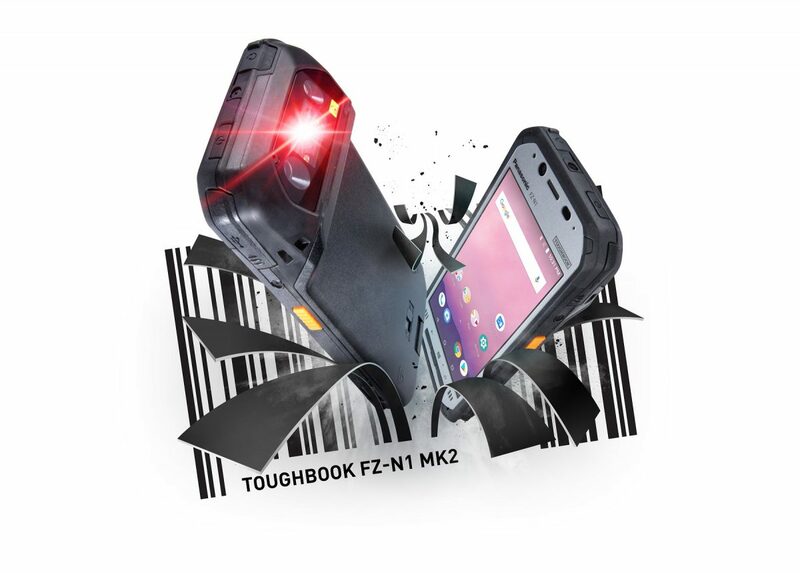 The Panasonic TOUGHBOOK FZ-N1 handheld also has its own vehicle docking solution, designed in-house by the Panasonic Global Docking Solutions team. The dock has been ergonomically designed using composite materials for the perfect combination of light weight and durability, and allows for single-handed docking and release. For ease of management and security, the device is compliant with Panasonic COMPASS (Complete Android Security and Services) 2.0. 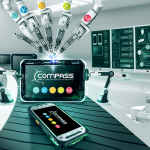 Panasonic COMPASS offers everything businesses need to securely deploy and manage their Panasonic rugged Android devices. It is designed to take advantage of the flexibility offered by an Android operating system with the reassurance that Panasonic’s devices are business-ready for applications, management and security. Also, the FZ-N1 is optimized to run the MCL platform. MCL is an integrated low code mobility platform which can turn the device into an edge solution. 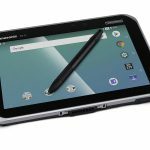 The WiFi only version of the Panasonic TOUGHBOOK FZ-N1 handheld will be available from November 2018, with pricing starting at £1,696 plus tax. The combined WiFi and 4G model will be available from January 2019 priced at £1,696 plus tax. Both devices will be available Europe-wide and come with a standard 3-year warranty.